Up to four people can participate at one time. Each participant is harnessed and attached to two fiberglass poles with a special cable designed for the jumping system. The operator lifts up each person individually until they are high enough to jump up and down on the mini-trampolines. Participants may do somersaults forward or backwards. 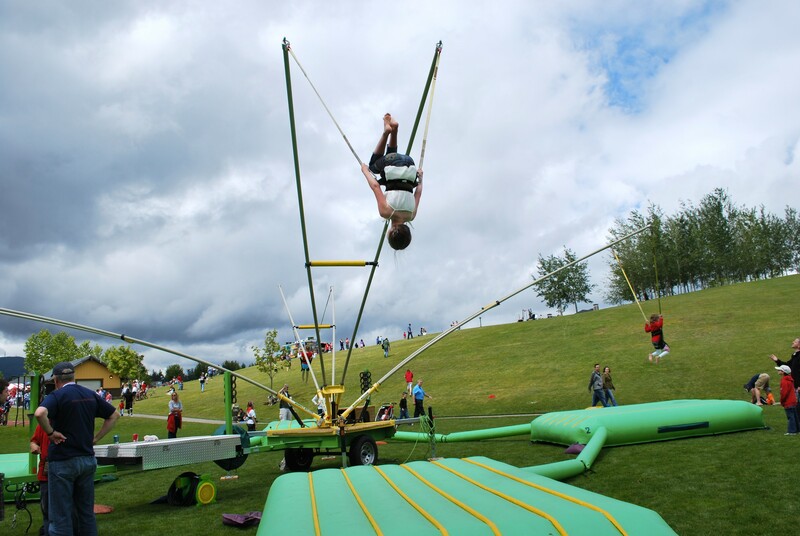 This bungee trampoline attraction is a great way to entertain the masses at your next company picnic, church festival, or corporate event in the Seattle area!